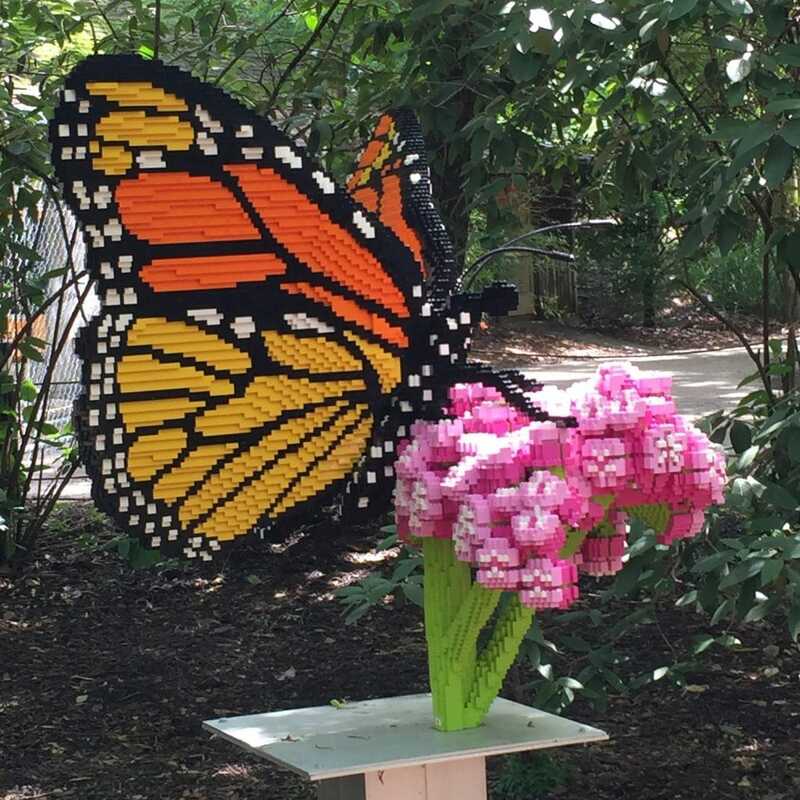 We absolutely loved the Lego Sculpture Event at the Louisville Zoo. 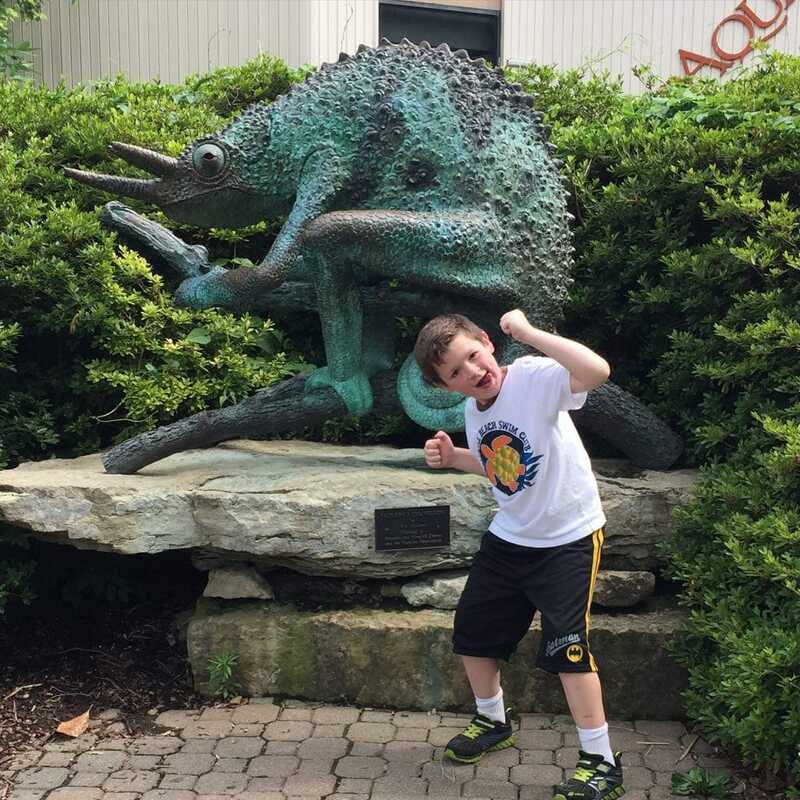 The Zoo featured 23 different Lego Sculptures in 13 different exhibits. These sculptures were designed, and built by Sean Kenney. Who is a renowned, award-winning artist and “professional kid” who uses LEGO pieces to design and create contemporary sculpture for high-profile clients, major corporations, and venues around the globe. Unfortunately the Louisville Zoo exhibit ended July 5th. If this event is anywhere in your area, I would definitely recommend going. Here is upcoming event schedule. 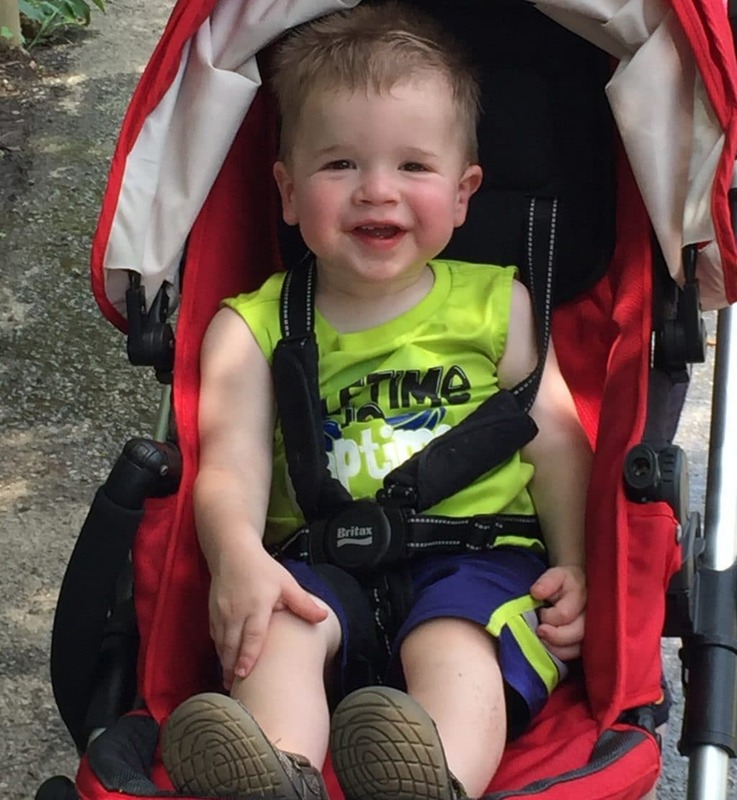 Here is a few pictures of our most recent trip to the Louisville Zoo. 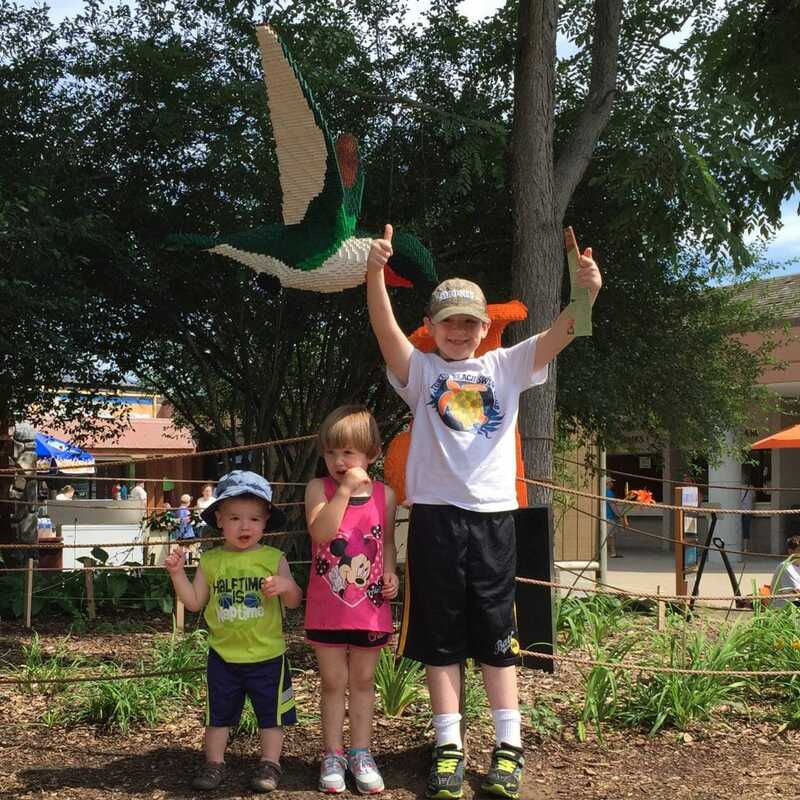 Our three kids are poising in front of Hummingbird on Trumpet Flower sculpture. 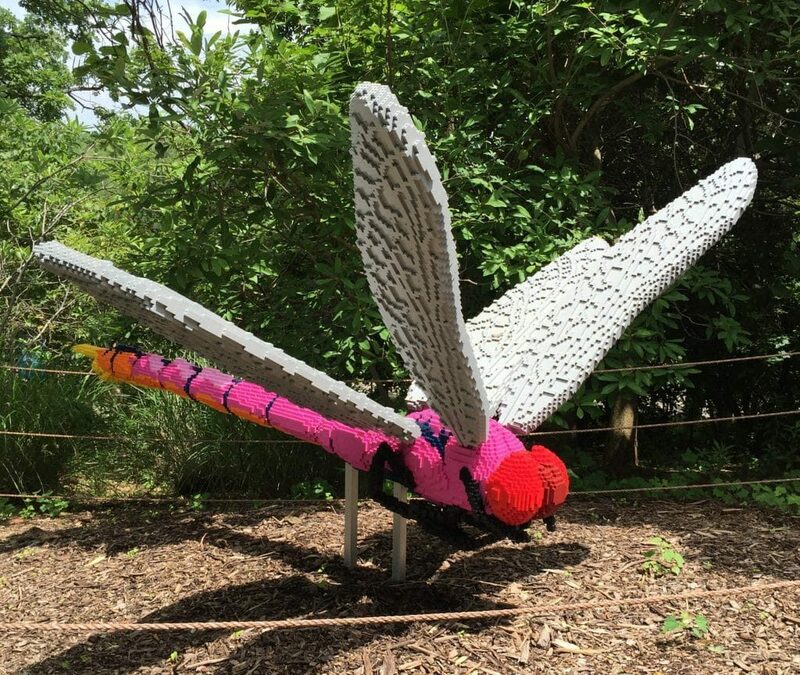 This sculpture took 265 hours to build with 61,107 Lego Bricks. 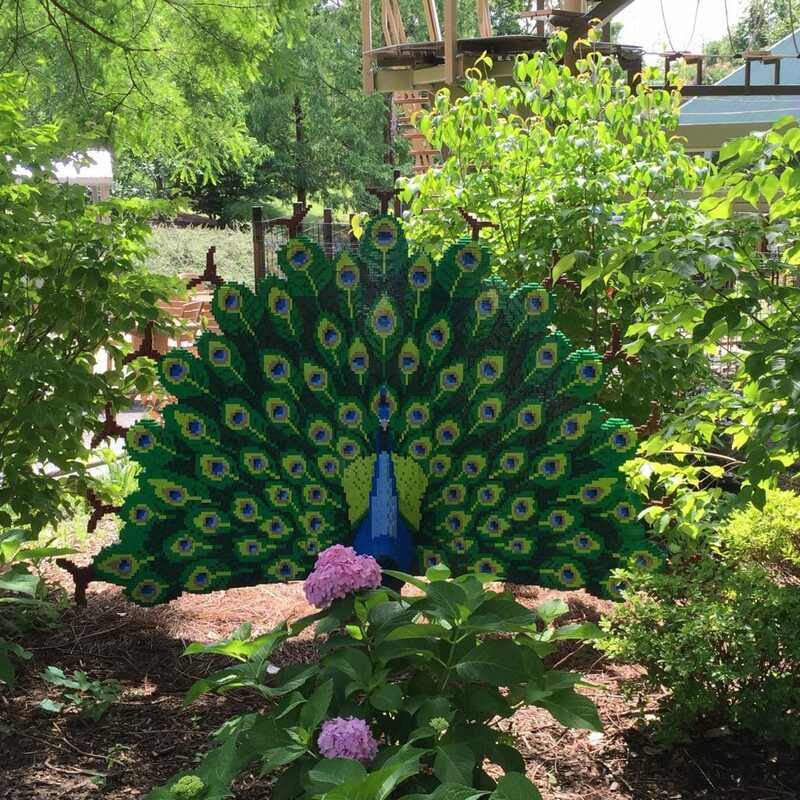 Peacock Sculpture was built with 68,827 Lego Bricks and 625 hours. 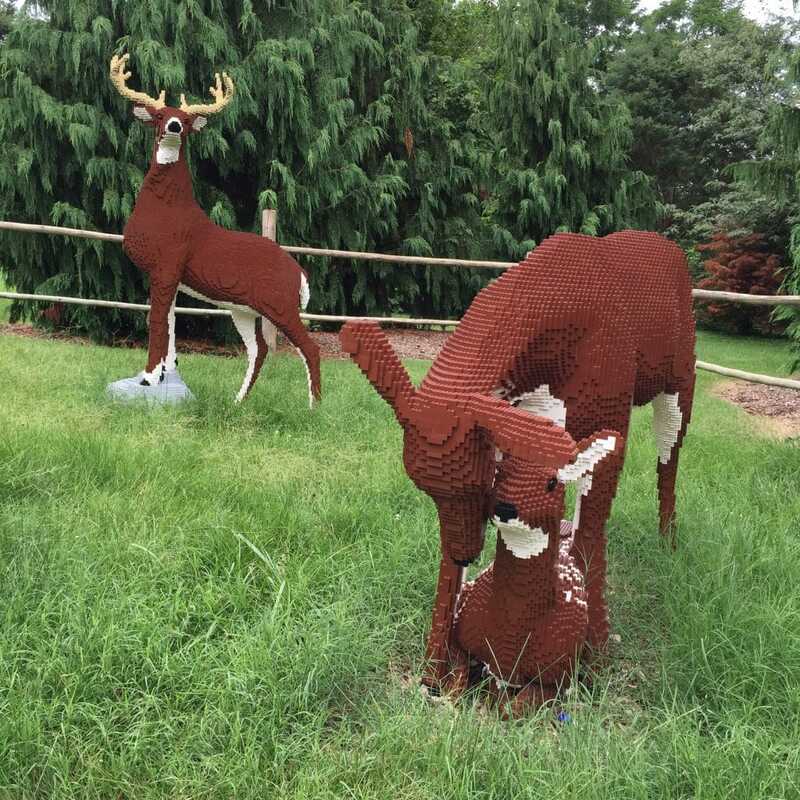 White-tailed deer family was built-in 540 hours with 46,563 and 37,879 Lego Bricks. Roseate Skimmer Dragonfly sculpture was one of my favorites. It took 515 hours to build with 27,788 Lego Bricks. Monarch Butterfly on Milkweed sculpture by Sean Kenny was absolutely stunning. The Monarch took 425 hours to create with 39,708 Lego Bricks. Noah decided to be his goofy self in front of the life-size wheelbarrow sculpture. This wheelbarrow was built with 29,900 bricks in 205 hours. I would share more of the gorgeous and talented sculptures by Sean Kenney, but instead I am going to highly encourage you to visit an exhibit in your area soon. I hope you find his sculptures as interesting as we did. Now it’s time to share a few other pictures from that day. It was such a hot day, but all the kids had an awesome time. We can’t wait to visit again. Noah was being a little silly at this point. Momma Look! 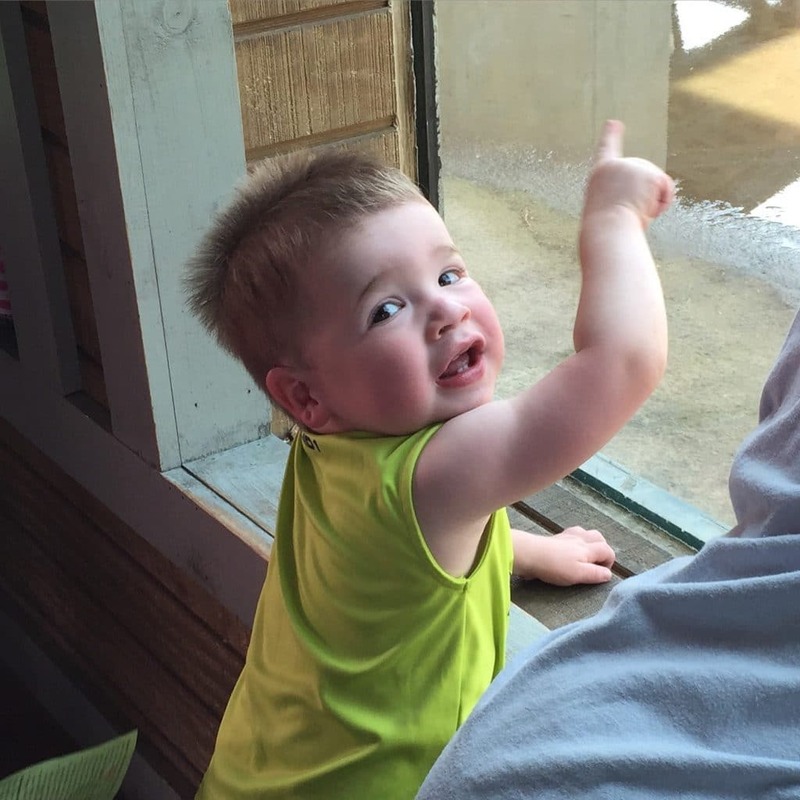 He was very excited to see the polar bear get a popsicle. 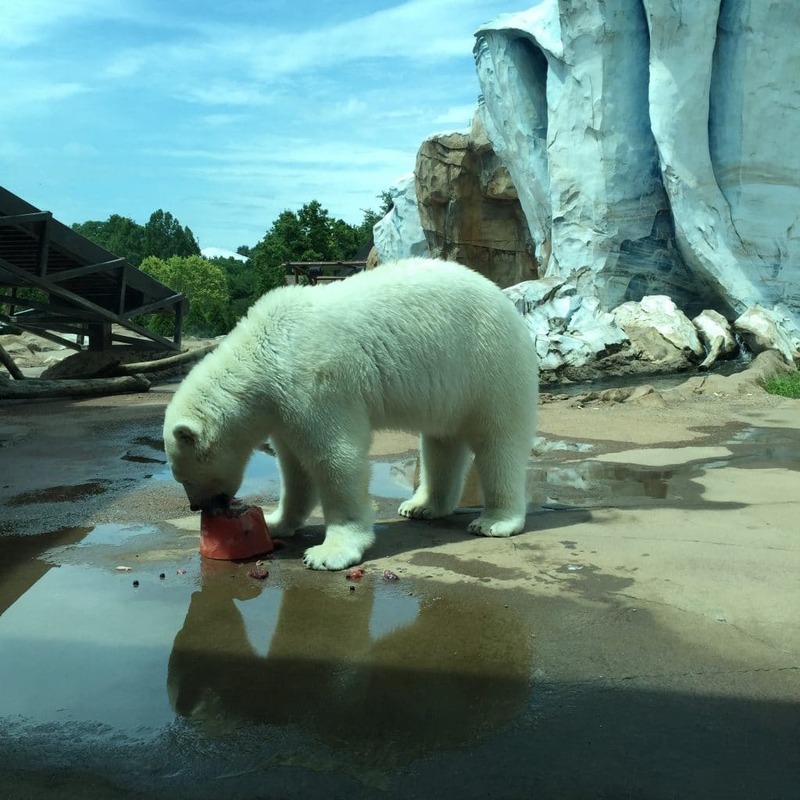 This polar bear sure did love his popsicle. 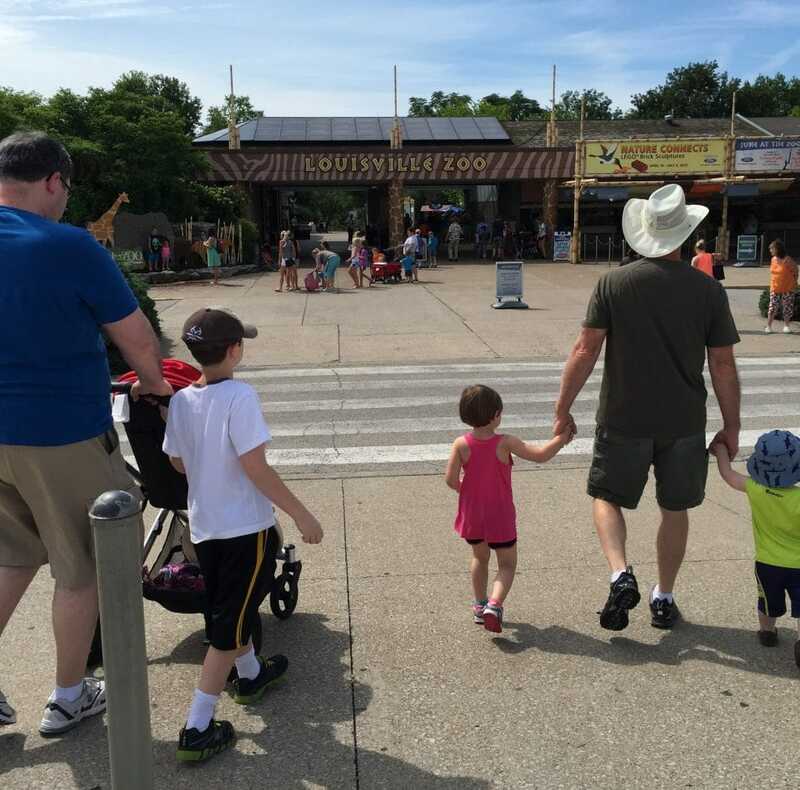 I hope you enjoyed seeing a little more about our trip to the Louisville Zoo. 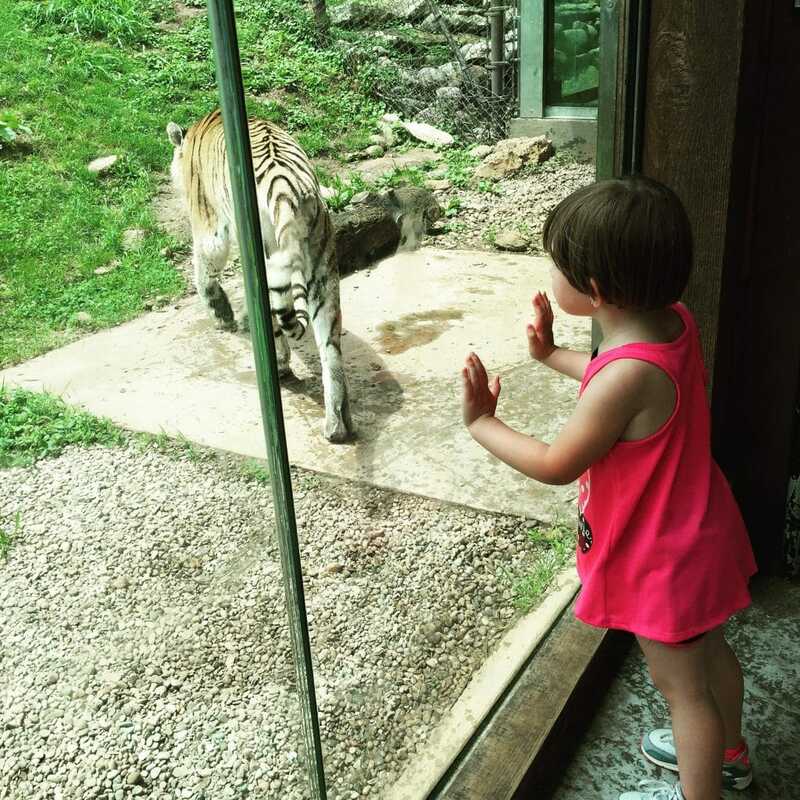 To see more of our favorite places in Kentucky for family fun just click that link. 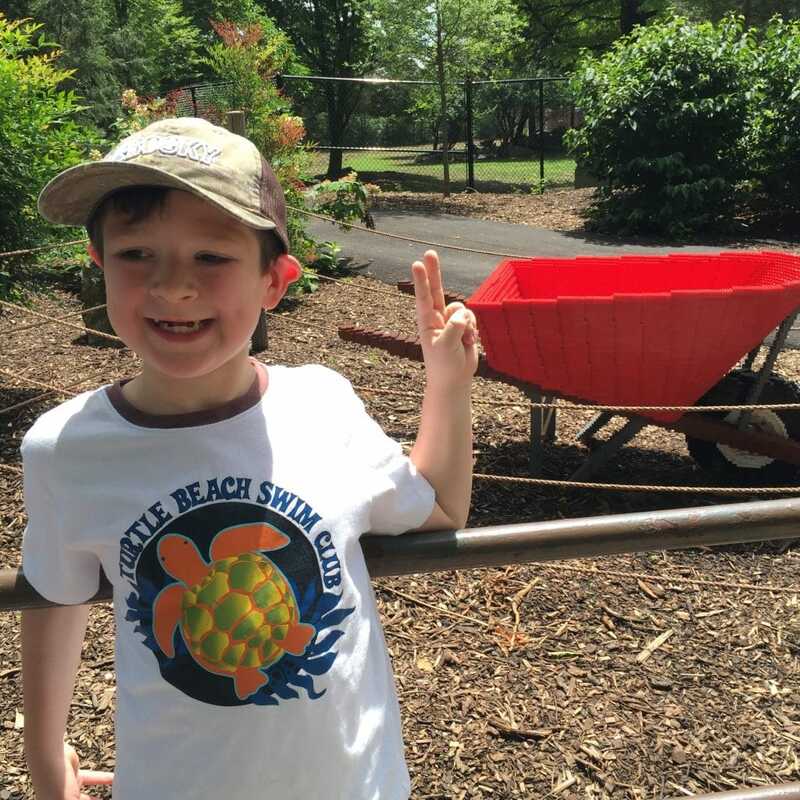 What’s your favorite zoo? Let me know about it in comments below so we might visit too.